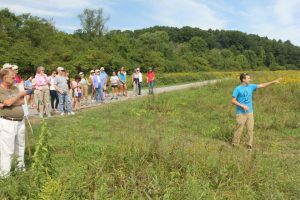 VCNature is an outreach campaign by the Vassar Farm and Ecological Preserve, the Environmental Cooperative at the Vassar Barns, Sustainability at Vassar, and the Warthin Museum of Natural History designed to educate and inspire the Vassar Community about nature on campus. We want your subscriptions! Email vcnature@vassar.edu to subscribe to our newsletter. Above: Stephen Kovari ’19 leads a walk at the Vassar Farm. Join us for an event soon, or come out to the farm on your own and tell us what you see! Email vcnature@vassar.edu to subscribe or submit! VCNature is coordinated by Stephen Kovari, Vassar College Class of 2019.